Reproduction means producing offspring for the survival of the species. 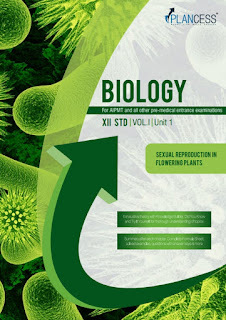 Plant reproduction is the production of new individuals or offspring in plants, which can be accomplished by sexual or asexual reproduction. Sexual reproduction produces offspring by the fusion of gametes, resulting in offspring genetically different from the parent or parents. Asexual reproduction produces new individuals without the fusion of gametes, genetically identical to the parent plants and each other, except when mutations occur. In seed plants, the offspring can be packaged in a protective seed, which is used as an agent of dispersal.